WELCOME TO LEISURE PHYSICAL THERAPY!!! In 2015, Leisure Physical Therapy helped to build a primary school for the Paradise Orphanage in Burkina Faso, Africa. This year 151 students from the community and 120 orphans attend! The cost per year to educate a student is $30. Please consider sponsoring a child by making a tax deductible donation to Kaya’s Kids, Inc. by clicking on the following link: http://www.kayaskids.org/donate-now/, and on the donation form , please select "Send a child to primary school for 2017-18 ($30)" on the section labeled "apply my gift to". Paradise Orphanage page on this site. Everyday we come to work expecting to change the world!!! Happy, healthy patients who refer others. Leisure Physical Therapy offers a wide range of physical therapy services. After a full evaluation, a custom program is developed based on your specific needs. We provide high-quality treatment in a friendly, family atmosphere. Thank you Dr. Scott, Awa and Diane for being so great with us. Fred and I really appreciate all that you have done over the years to keep us in good physical condition. We have been going to you for the past five years and since we are members of the Senior Community, our various parts are wearing out. But you have helped us with three replaced knees-between the two of us-shoulders that did not move, legs that have developed pains and hands that have arthritis. We have returned again for spine and leg problems. A big thank you for advising us when Fred's blood pressure dropped and he spend the weekend at St. Charles. Without your advice, we would not have known enough to check his blood pressure and he could have developed serious problems. My orthopedic doctor recommended physical therapy for my painful and swollen osteoarthritic knee. Recommendations from that doctor and my friends resulted in my choosing Dr. Scott. After evaluation, some of my therapy consists of machine workouts, massage, and even ice treatments. It takes approximately one hour to complete everything. It's a relaxed atmosphere with knowledgeable, hardworking and friendly therapists. The best part is how much better I have been feeling since I started therapy. PHYSICAL THERAPY WORKS! I'm very grateful for the excellent care that has been given to me at Leisure Physical Therapy located at 679 Whiskey Road in Ridge. Prior to falling and dislocating a shoulder I had never had physical therapy and my attitude towards it was that it was nothing more than pampering. I know today that physical therapy is a life-saving and life-sustaining endeavor.At Leisure Physical Therapy I've personally experienced the hands on healing that is afforded to clients. Clients are made to feel they are the only person being cared for at the moment and, in fact, they are. I've heard the term "physical terrorist" bandied about and I've learned that the "terror" I was experiencing was my own apprehension. I was haunting myself with the fear that my shoulder would be injured again during the therapy. When I learned to relax and trust my handlers the situation became a downright pleasant experience. I am aware that the mind/body connection is very real and Dr. Scott L. Paskiewicz has afforded me restoration in both functions. I will sing the praises of Leisure Physical Therapy to anyone and everyone who will listen. 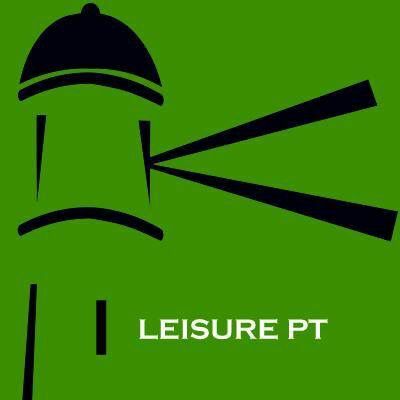 Leisure Physical Therapy is located on Whiskey Road in Ridge, New York and is very close to Leisure Village, Leisure Knoll and Leisure Glen. Leisure Physical Therapy is located within a couple of miles to Shoreham, Manorville, Rocky Point, Middle Island and Wading River. Open 8:00 a.m. to 5:30 p.m.
Open 8:00 a.m. to 12:30 p.m.